With the support of the Hungarian Investment Promotion Agency (HIPA), positive decisions were made on investment projects to be implemented in Hungary in the case of more than ever, a total of 71 projects last year. 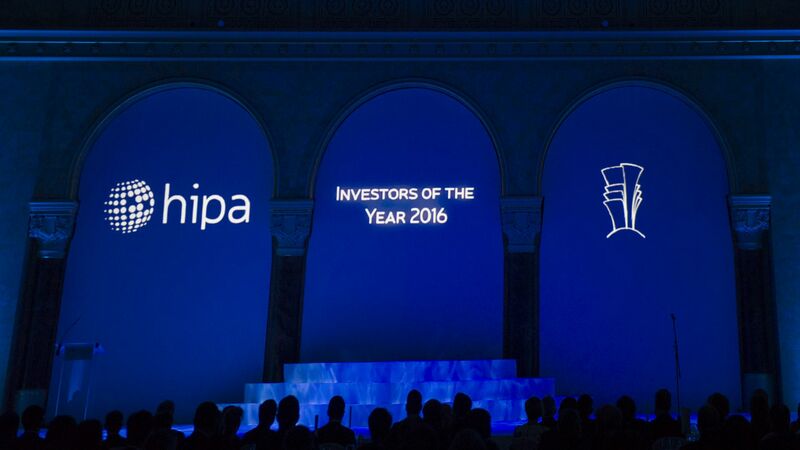 HIPA awarded the most outstanding of these at the annual 'Investors of the Year' gala event in the Ceremonial Hall of Pesti Vigadó. The awards were handed over by Péter Szijjártó, Minister of Foreign Affairs and Trade, and Robert Ésik, President of HIPA. In 2016 a number of investors more than ever decided to choose our country for the location of their investments: with the support of HIPA, positive decisions were made in the case of 71 investment projects. As a result, 17,647 new jobs will be created and foreign capital worth EUR 3.2 billion will come to the country. Furthermore, it is a favourable trend that 55 of the 71 projects are launched by companies that have also operated in Hungary previously, i.e. the companies already present feel good in Hungary. In the future, more attention will be paid to technology-intensive projects, which produce higher added value, and the emphasis will be shifted towards projects of the 'Invented in Hungary' type in addition to the 'Made in Hungary type, which is also facilitated by changes in the subsidy system based on specific Government decisions supplemented with R&D and innovation supporting forms - expained Róbert Ésik, President of HIPA. 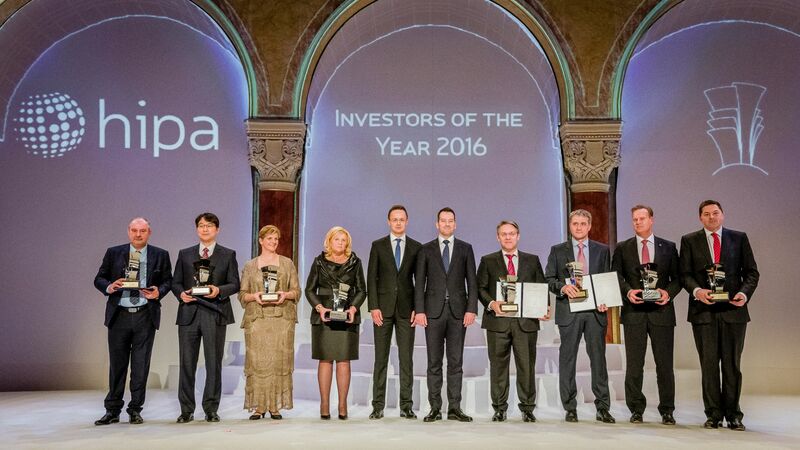 At the 'Investors of the Year' Gala, companies implementing the most important projects in the past year receive recognition every year. 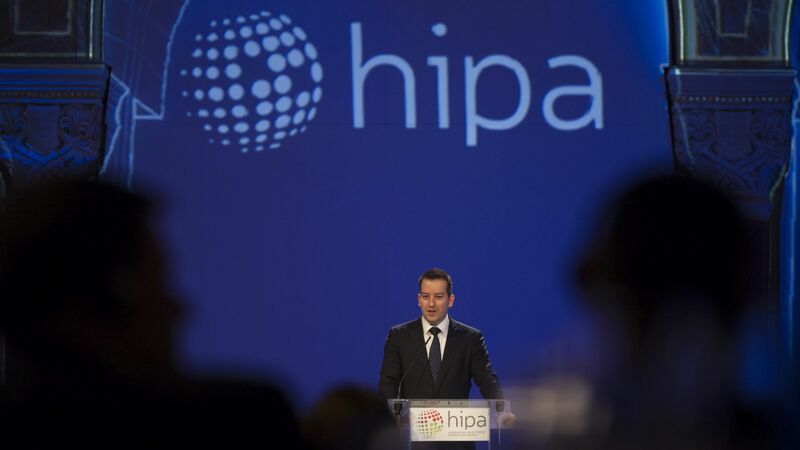 This year, HIPA awarded companies that will create 6,000 new jobs to a total value of EUR 1.5 billion this year in six categories. 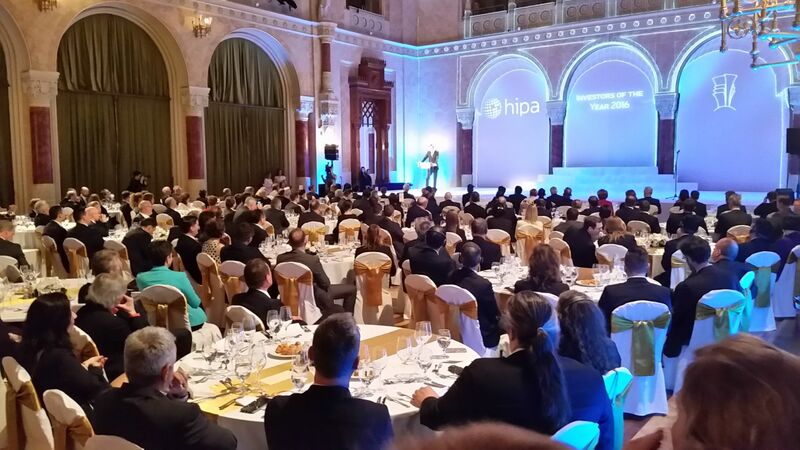 In addition to promoting the projects and reinvestments of large companies, HIPA pays special attention to supporting and developing the supplier role of Hungarian small and medium-size enterprises as well as to the preparation of project locations; therefore, an additional two award categories are expressly aimed at the recognition of Hungarian stakeholders. Under the largest greenfield project ever implemented in Hungary, Mercedes-Benz will construct its second factory in Kecskemét by investing EUR 1 billion, i.e. more than HUF 310 billion, where models with various vehicle architecture and drives will be made in a flexible production system. The body, surface finishing and assembly plant will be also suitable for the manufacture of front-wheel and rear-wheel drive passenger cars. 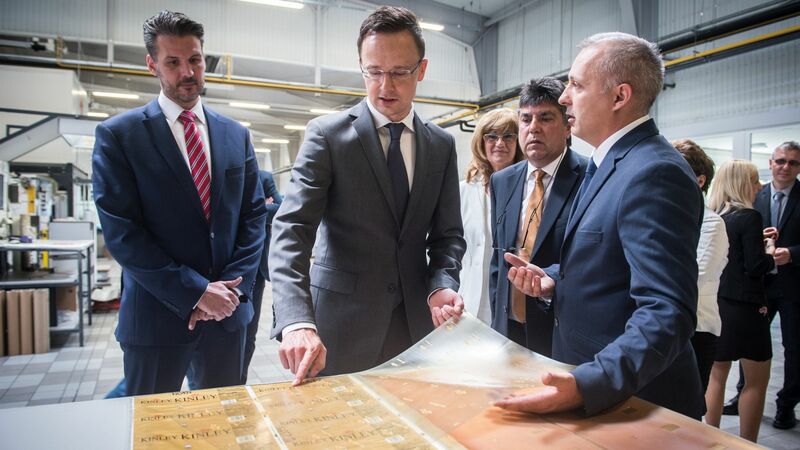 As a result of the reinvestment, 2,500 new jobs will be created, thereby further strengthening the prominent role of the Kecskemét manufacturing unit in the global production chain of the German premium brand. The South Korean electronics giant has chosen Hungary as location for its latest battery manufacturing plant. Supplemented with its units located in Ulsan, South Korea and Xian, China, the new production unit will be the third pillar of the global production structure of Samsung SDI. As a result of a project worth of KRW 400 billion (nearly HUF 100 billion), commercial operation with annual capacity of batteries for 50,000 pure electric vehicles is aiming to start in 2nd half of 2018. Hungary is an ideal location for quickly meeting the demand of European automakers, by increasing competitiveness in logistics and accessibility, since the manufacturing bases of European automakers are concentrated in Central and Eastern Europe. The injection moulding and packaging of LEGO DUPLO and LEGO System bricks are performed at the LEGO factory in Hungary on about 120,000 square meters, producing more than 60 million toy bricks per day. As a result of growing international demand, a major development began in Nyíregyháza at the beginning of 2016. Under the announced project, the size of the current factory will double and about 1,600 new jobs will be created, bringing the total number of employees to 4,000 within a few years. The LEGO Group expects further growth in international demand in the long run, which may lead to further development, since the company aims to reach as many children as possible with LEGO toys around the world. The Texas-based Flowserve industrial manufacturing and service company group opened a shared services centre (SSC) in Debrecen. The unit to be newly established will provide financial and accounting services to 20 countries in the North American and EMEA (Europe, Middle East and Asia) regions in 10 languages. Staff are being recruited among young university graduates for about 400 jobs that will be created as a result of the project worth HUF 4.3 billion. BP Business Service Center Kft. After its Budapest unit launched in 2009, BP is creating its second global business service centre in Hungary. 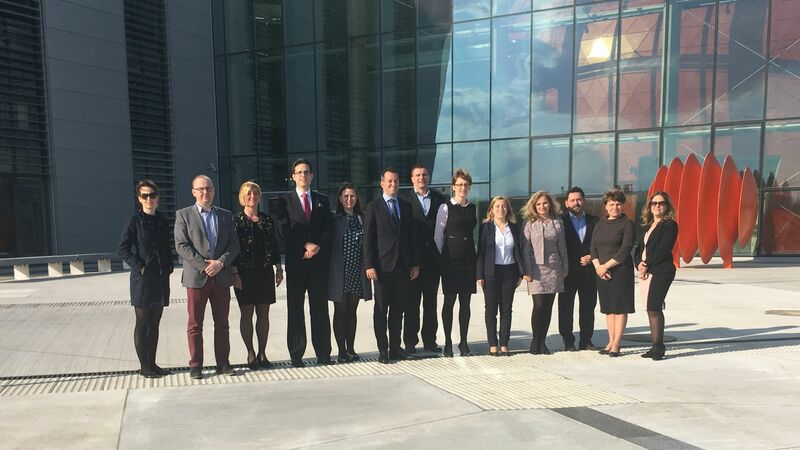 With the project to be implemented in Szeged by 2020, it plans to create a total of 500 new jobs representing high added value in the country town of Csongrád Country. At present, BP provides a wide range of services in 15 languages from Hungary primarily for the company's European subsidiaries and customers. 85% of the 1,400 employees hold post-secondary degrees, and their majority speak more than two languages fluently. The new Szeged unit will provide services for BP in areas representing strategic growth, such as finance, accounting, purchasing, HR, customer service and business support. The American industrial giant will establish one of its six global digital development centres in Budapest with an investment of HUF 8 billion. The highly qualified experts working here will be engaged in software development, IT solutions improving the flexibility of business processes, and IT infrastructure building and operation, and will provide access to data analysis (Big Data) solutions to the company's customers. Due to the opening of the new centre, 400 positions producing high added value will be created by the end of 2017. Founded 20 years ago this year, the industrial park was established by the Municipality of the City of Debrecen. It is currently owned by the XANGA Investment & Development Group. After an initial area of 40 hectares, it now covers nearly 120 hectares of land after multi-stage expansion. The first settled companies include National Instruments and Bumet, and today there are about 45 companies operating in Határ út. The success of the industrial park is well reflected by the fact that it won the title of Science and Technology Industrial Park in February last year. Since PEMŰ Zrt. was founded in 1959, it has introduced a number of plastics processing technology in Hungary, dividing its plastics processing activities into three groups according to its profile. At its Solymár unit, the production capacities are currently fully committed due to its quality work, continuous development and participation in the production of innovative products in recent years.